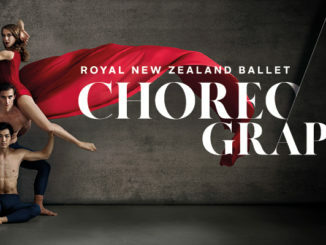 Three by Ekman is bold programming from the Royal New Zealand Ballet, and an indication of the importance of bringing international works of significance to our national ballet company. A prolific powerhouse in the dance world, Swedish choreographer Alexander Ekman’s work is both popular and accessible. First up, Tuplet; a work for six dancers introducing the audience to Ekman’s choreographic signatures. Dancers use live voice, recorded sound, body percussion and immaculate rhythmic timing to create a soundscape and their own accompaniment. A simplistic colour palette and sophisticated lighting is crucial to the joy and impact of the piece. The dancers open the show subtlety, casually, appearing one at a time onstage a full ten minutes before the house lights go down. How interesting to experience the audience all but ignore the artists. Without the cue to concentrate, conversations continue full volume, people move around, texts are still checked. Pleasing, then, the symmetry with Tuplet’s ending when the same sound and isolated movements are repeated while the house remains in darkness. Ekman is always witty, always fun, always prodding his art form and exploring its potential. Clever synthesis of sound and movement is one of his aces; Tuplet provides plenty of examples. Simple sound bites become more than the sum of their parts as the dancers motor through a canon-and-outlier section with snap and control. Kohei Iwamoto and Laura Saxon Jones are immaculate in Ekman’s work, and remain prominent throughout the triple bill programme. Iwamoto’s silhouetted solo at the beginning of the work contains gentle reminders of why we need classical dancers for contemporary ballet work. See a perfectly aligned fondu in fourth position, or three fouettes, double time, and the contrast with the richly symbolic, heavily grounded flavour of New Zealand contemporary dance is clear. Episode 31, the second piece, is upbeat and athletic. Ekman deliberately blurs gender norms with women in moustaches and men in skirts. The eclectic costumes are connected by a strict palette of black and white, and the overall effect is something like an aristocratic, themed costume party from the 1930s. Ekman’s diverse use of space and pathway is on display here, with the large number of dancers moving through a series of short scenes; solo, duo, ensemble, outlier. Production technologies feel more deliberately utilised in Episode 31, and the front curtain whizzing up and down opens the ballet with snapshots of itself. While enjoyable as large group work, Episode 31 was overshadowed for me by the preceeding piece in terms of sophistication and depth. The final work of the evening, Ekman’s award-winning Cacti is a parody of its own artform, contemporary dance. Live music onstage for this performance is provided by the New Zealand String Quartet, and contrasted with both live and recorded sound/voice. The staging of Cacti at the end of the Royal New Zealand Ballet’s 2016 season of Speed of Light was especially successful due to the powerful contrast with the works and preceeding it. While the ballet is always entertaining and enjoyable, Ekman’s choreographic signatures are not necessarily strengthened by a full evening’s programming. Fierce rhythmic precision and beautifully broad movement vocabularies are as successful in the third work as any other. Tarquets (panels of specialist dance flooring) are manipulated by the dancers, geometric shapes and lighting create mini stages for individual dancers, androgynous costumes, minimalist colour schemes and moving lighting rigs are most effective when staged alongside more traditional choreographic works. Three by Ekman treats us to a truly current, international perspective on contemporary ballet, and shows the dancers of our national company at their diverse and adaptable best. 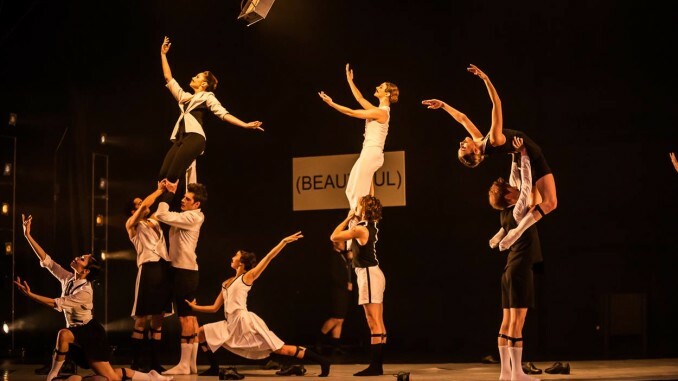 The evening’s programme is energetic and highly enjoyable, and free from the heavy introspection that can sometimes weigh the audience of contemporary dance down. Ekman, it seems, always succeeds in making dance that is accessible and crisp. 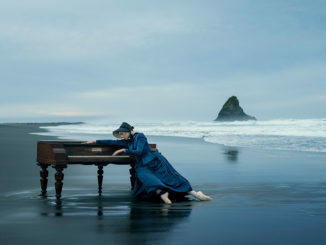 Three by Ekman plays at the ASB Waterfront Theatre until 1 June. Details see RNZB.